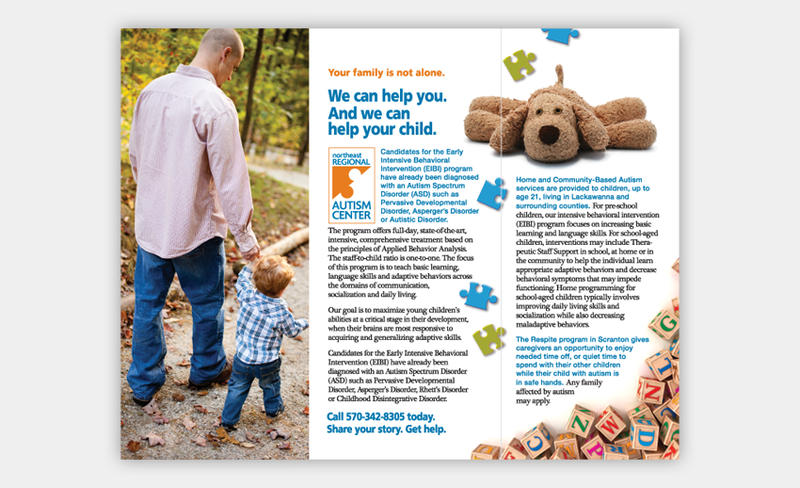 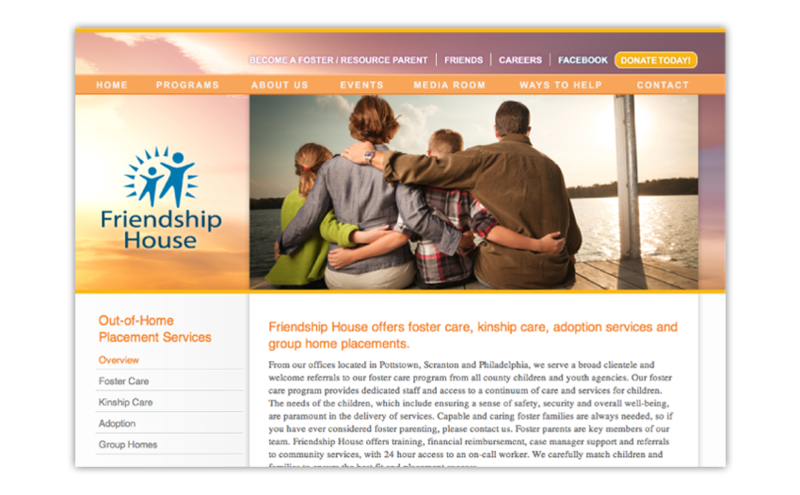 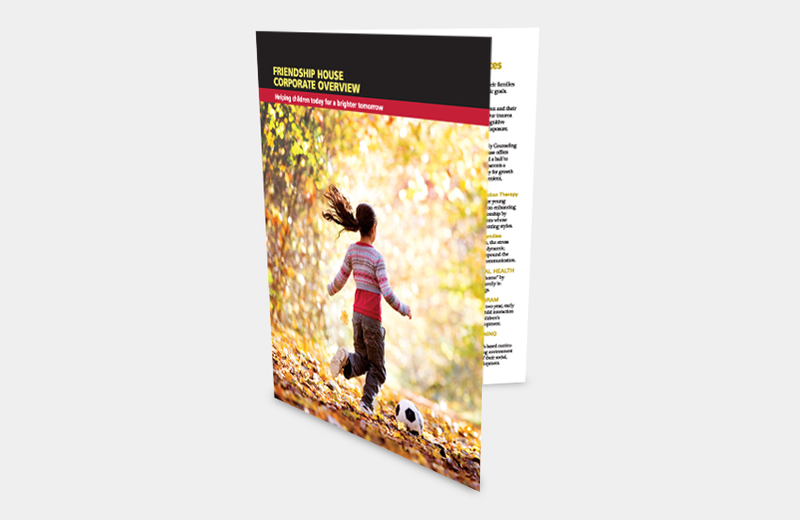 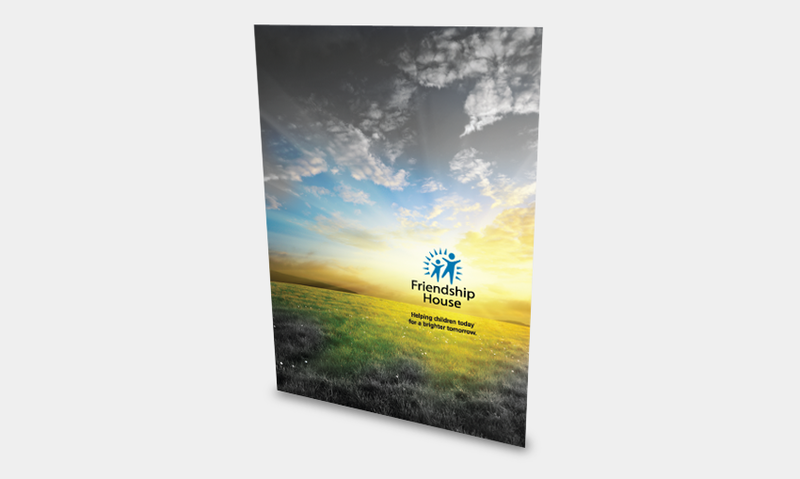 After years of making do with in-house brochures and mismatched donations of creative and printing, Friendship House decided it was time to send a cohesive, consistent message to clients and donors. 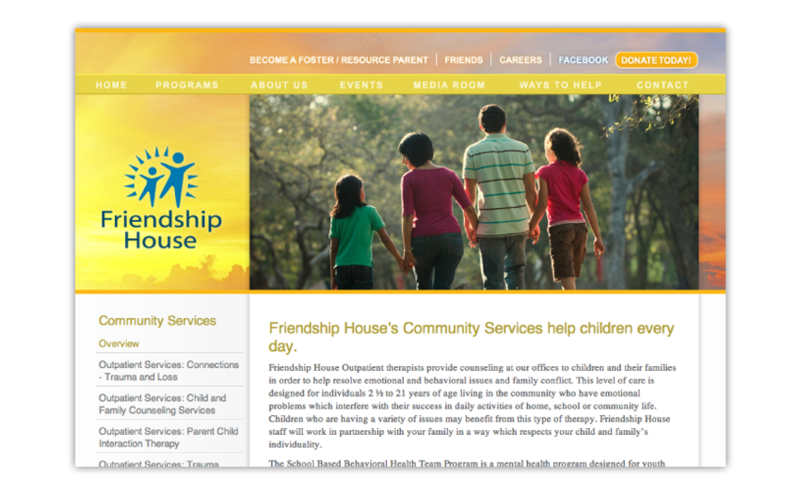 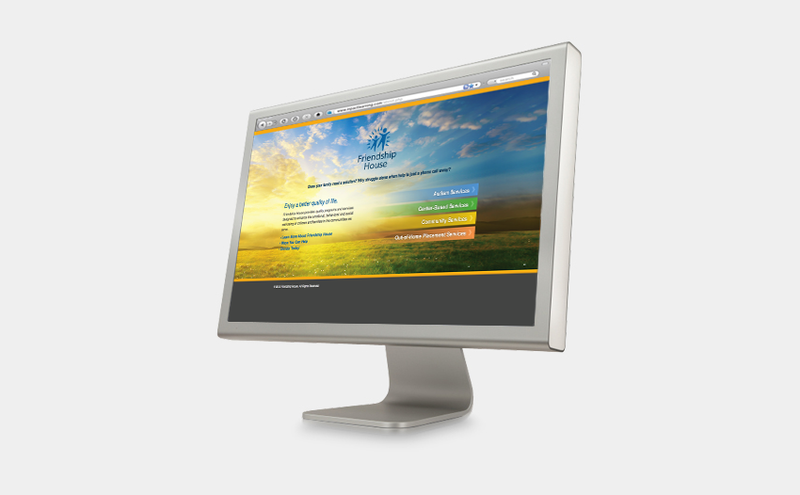 Combining their non-profit marketing initiative with a community education program, we designed a beautiful two-pocket folder, a series of tri-fold brochures, a large corporate brochure and six web pages that their staff duplicated and customized for an entire website makeover at a minimal investment. 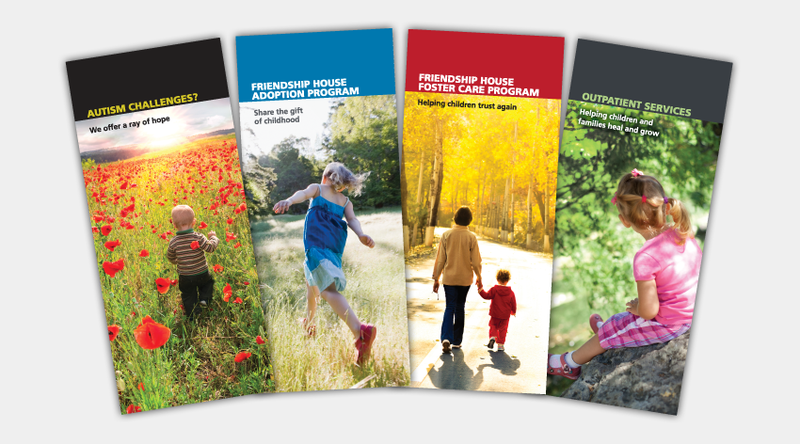 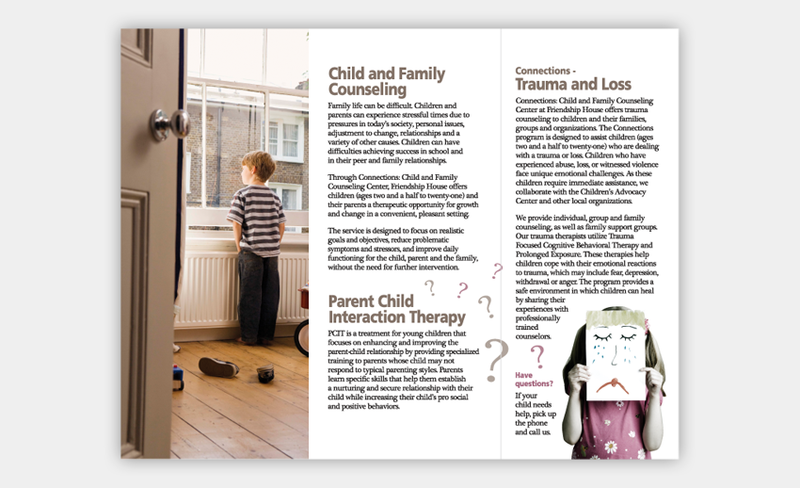 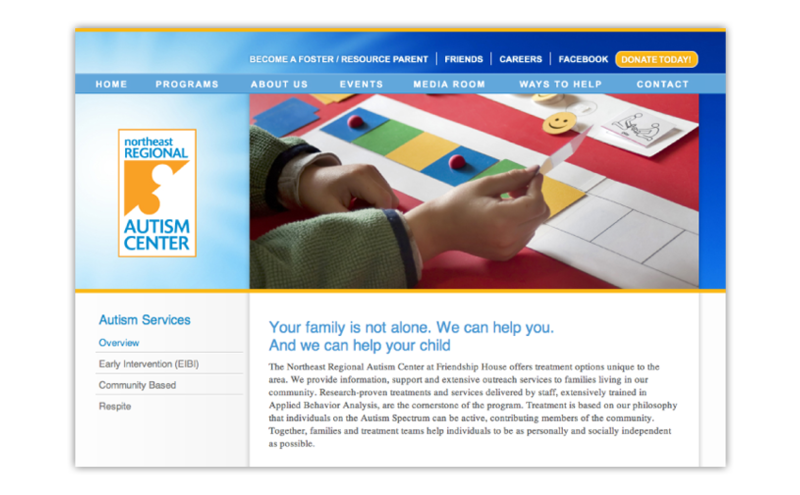 To convey the sense of hope inherent in all the programs, the majority of the marketing materials feature photographs that include sunbeams or sunshine.